Every year, the SXSW EDU Conference & Festival brings together a global community of optimistic, forward-thinking, purpose-driven stakeholders with a shared goal of impacting the future of teaching and learning. New Profit staff and members of our community are proposing a number of sessions for the 2019 SXSW EDU Conference being held March 4-7 in Austin, TX. We need your help us get our sessions selected so that we can share insights and lessons learned from New Profit's work to advance the learning revolution in K-12 education. 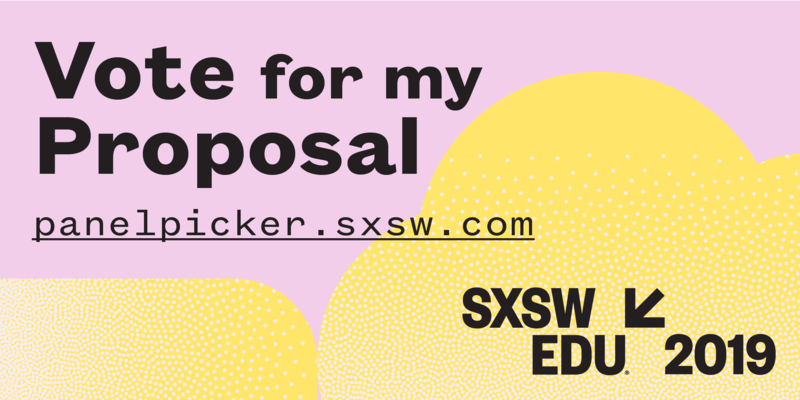 Between now and August 30th, we invite you to participate in SXSW EDU's public voting process and to "vote up" our session proposals on SXSW's Panel Picker (please note that you will be required to create a free SXSW EDU account in order to vote). Keep reading for more details on the proposed panels and click the links to vote! Personalized learning is one of the frontier movements in education that has massive potential, but making sense of the term, the moment of opportunity, and the future is challenging. In this panel, four pioneering women CEOs in personalized learning - Phyllis Lockett of LEAP Innovations, Dana Borrelli-Murray of Highlander Institute, Susan Patrick of iNACOL, and Elisabeth Stock of PowerMyLearning - discuss their collective journey and the critical imperative of building capacity in the field. Click here to vote for the CEO State of Play in Personalized Learning panel! A cross-district learning community builds collective courage among participants by creating a strong network for vulnerable conversation toward continuous improvement. The Essex County Learning Community focused on common barriers to supporting students with learning differences. Through convenings, teacher groups, sharing best practice and dilemmas, and providing resources and national experts, 6 districts built and leveraged trusting relationships to problem solve and develop district plans. Click here to vote for the Collective Courage Through Cross-District Learning panel! Click here to vote for the From Equity to Anti-Racism in Education panel!